High noon, and all spotlights were directed toward Bruno César, the 25-year-old competent midfielder receiving his Palmeiras jersey, number 30, from the hands of president Paulo Nobre. We learnt the player gave up on receiving US$ 800.000 – a debt Al Ahli wanted to pass on to Palmeiras but the club was more than hesitant to take on – in order to speed up the transfer process. We learn he is eager to show his worth, to get in shape as soon as possible, preferably to debut for Palmeiras against his former club, arch rivals Corinthians. We learnt this and more, but unfortunately, our attention was irrevocably diverted by the unexpected news that our team captain, Henrique, was leaving for Napoli. The Swedes call this “smolk i bägaren”, dirt in the cup. You’re commemorating, you’re lifting your glass to toast, and something comes in the way to ruin your happiness. Napoli had expressed interest in Henrique before, but as a loan. Now, with the transfer window closing on Friday, they turned it up not one but many notches: €4 million for Henrique, offering him a four-year contract. The players’ agent deemed Napoli’s offer irresistible, and so did Henrique, signing the agreement as Palmeiras gave their blessing. 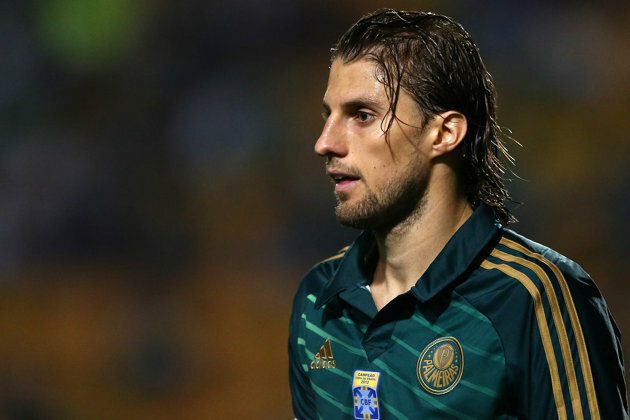 Of the €4 million – actually corresponding to only two thirds of the stipulated transfer fee – Palmeiras pocket 80%, the remaining 20% to be split between the player and his agent. Henrique is a good player. And our captain. But he’s not irreplaceable. If the “irre$i$tible” offer made him change his mind, better let him go before he contaminates the rest of the squad. €4 million is not bad cash. The timing is not good, but that’s out of our director’s control. Now, a replacement is needed, and fast. Depending on what will arrive, we’re in better shape to judge to what extent Henrique’s exit was beneficial or detrimental to Palmeiras. A final word, and always worth remembering: We Love Palmeiras. Players do not. They play for Palmeiras, and they get paid for it. Never expect their love, much less demand it. Hell, distrust any player who expresses his love for Palmeiras (there are a few exceptions to this last sentence, and we all know who they are). Adopting this posture will save you from disappointments, time and time again. It’s a bit hard to see a player with a skill such as Henrique’s leaving the squad, and even more since he was the captain – but at the same time, he’s not irreplaceable and his leaving might be the chance of finding these players to help our squad grow and grow victorious while at that. Selling players is also an important part of the negotiation and building of the team, and I believe that this’ll turn out for the best to us. The timing somehow feels good since we’re still at the beginning of the season, so there’s plenty of time to change our course as we need to. And well said in the end – We root for a team, not for those who carry the weight of the jersey. I wholeheartedly agree with your comments, Alexandre. And there’s one more thing I didn’t touch upon in my text: the fact that Henrique had a high salary, and a “traditional” contract, not one of productivity. Slowly, our directors are streamlining Palmeiras into the shape of their new concept. The timing was bad, Alex, because it sort of ended (at least with the majority of the supporters) the most positive vibe in which we were riding in some years now, and besides, in a “Choque-Rei” week, also in a closing of the transfer window, where few good (cheap) quality options are left to go after. It´d have been much much better if this had happened in early January. He was good, but not THAT good, not by far irreplaceable. I still have a very positive feling about this year, this didn´t change my vibe one bit. I agree, the timing was bad. But with the transfer window closing… If the deal was considered good, was it ever an option not going through with it just because of the upcoming derby? Had it been a title match, one would have to gve this a lot more thought. But not the first derby of the year. I’m also positive. Eagerly awaiting the replacement, curious to see what Palmeiras will come up with. As people are saying, he’s not irreplaceable. €4 million can probably buy a couple Henriques. When transfers like this happen, the hope is that another player will step up and fill the hole, I also think it will end up being a positive move. It would have been another thing to lose him for free. And as someone who follows Italian soccer it’s not shocking that Napoli would go for him, their defence has been porous for years. Also, I very, very much enjoyed Valdivia’s goal on Sunday =D I hope he can stay healthy this season. Absolutely Kristian, the bad timing did not change one bit the fact that the deal should go through, especially, now that news are popping about Henrique causing dissetlements in the barracks. I´m just lammenting the fact that the effing napolitans didn´t come up earlier with this offer. They had plenty of time to think this through. I think that if a good enough replacement can´t be found in the last days of the 1st semester market, we should go after a young and FAST defender, who could fit in with Lucio´s (now) lack of speed and so compliment him, if we can´t get someone as good as Henrique individually, we should go after someone who would make a better pair than Henrique with Lucio.